On Wednesday 14 December the Goldsmiths’ Company Assay Office celebrated the fifth anniversary of its Greville Street Sub-Office in the heart of Hatton Garden. To celebrate, Andy Waker, Manager of the Sub-Office, crossed to the public side of the counter and greeted customers personally. 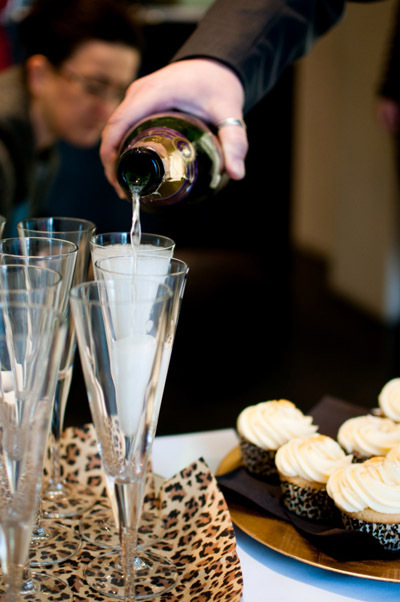 Champagne, Assay Office chocolate coins and specially baked gold glittery commemorative cup-cakes in leopard print cases were served to those who joined the celebrations. Opened in December 2006, Greville Street was the first off-site sub office set up by the Goldsmiths’ Company Assay Office. This bespoke hallmarking facility was designed to provide a local convenient service for the Hatton Garden Community and those who regularly visit the area. Since day one, the service has been tailored specifically for small quantities (up to ten articles), allowing fast turnaround times. 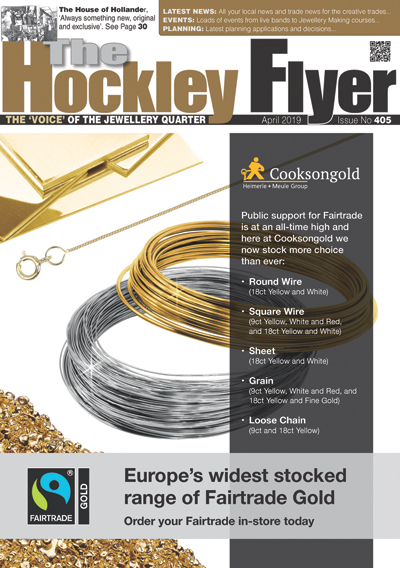 Larger quantities can be deposited at the counter but they will be sent to the Goldsmiths’ Hall office for processing. The Goldsmiths’ Company Assay Office was founded to regulate the craft or trade of the goldsmith and received its first Royal Charter in 1327. One of the twelve Great Livery Companies of the City of London, the Goldsmiths’ Company has been responsible since 1300 for testing the quality of gold and silver. The same regulations were applied to platinum in 1975 and to palladium from 1 January 2010. The word ‘hallmark’ originates from the fifteenth century when London craftsmen were first required to bring their artefacts to Goldsmiths’ Hall for assaying and marking. Seven hundred years later the leopard’s head, the symbol of the Goldsmiths’ Company Assay Office, remains the premier hallmark in the country and is recognised internationally as a stamp of approval from the renowned home of hallmarking. Today, the Assay Office continues the tradition of guaranteeing the level of precious metal content in line with UK law. In addition, the Assay Office offers expert knowledge to the appropriate authorities, including Trading Standards and the Police, helping them to enforce the 1973 Hallmarking Act. Based at Goldsmiths’ Hall in the City of London, the Assay Office also operates at two other locations for the convenience of the client: in the centre of London’s Hatton Garden, to benefit those members of the trade based there; and at Heathrow, providing a quick and cost-effective turn around on assaying imported goods. Dr Robert Organ is Deputy Warden, the Goldsmiths’ Company and Head of the Assay Office. Gecko Jewellery have confirmed another successful. Domino Jewellery have launched their 2019.